The Artesia Police Department is continuing to investigate a homicide that occurred Saturday in Artesia. APD officers were dispatched around 1 a.m. to the area of Fourth Street and Logan Avenue in reference to 18 calls of shots fired. Two male subjects suffered gunshot wounds in the incident. Fabian Ochoa, 36, of Artesia, succumbed to his injuries. The second male, also in his mid-30s, survived. Cmdr. Lindell Smith says the APD is continuing to follow up on leads as they are received, and anyone with information regarding the case is urged to call the department at 746-5000 and ask to speak to the detectives working the case. Artesians are also urged to call the APD if they have any information on a shots fired incident that occurred that same afternoon. At least one shot was fired Saturday in the vicinity of the former Kmart on West Main Street. 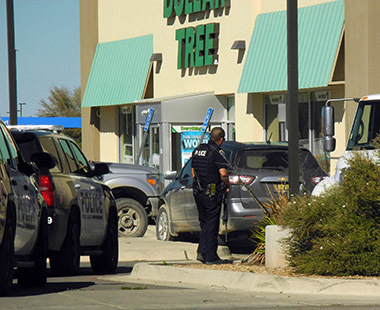 The male subject fled the scene and abandoned his vehicle at the Dollar Tree on 26th Street. Police say they do not believe the incident to be connected to the homicide.